I’ve long been passionate about uplifting and supporting entrepreneurs and their companies that focus on big, swing for the fences ideas. That’s why our motto here at Revolution is to “invest in ideas and people that can change the world.” Over the years, I have had the opportunity to invest in, build and help scale dozens of companies. But these companies have had another trait in common beyond their big ideas – by and large they’ve been located in regions outside of Silicon Valley. Whether here in our backyard of Washington, DC, or in places like Durham, Denver, Austin or Chicago, we’re proud of our efforts to support the “Rise of the Rest” in American entrepreneurship, both through our investments at Revolution, and through our efforts with the Startup America Partnership and UP Global. And now we’re excited to take a new step in celebrating the emergence of entrepreneurial ecosystems throughout the country. In late June, Revolution and UP Global are partnering to hit the road on a four-day, 1,000 mile “Rise of the Rest” bus tour. We’ll be joined by a host of partners, including Google for Entrepreneurs, Engine Advocacy, and Seed Here Studio, along with entrepreneurs and key players in the startup ecosystems of each of the cities where the bus will make stops – Detroit (June 24th), Pittsburgh (June 25th), Cincinnati (June 26th) and Nashville (June 27th). Our goal – to shine a spotlight on startup activity and entrepreneurs who are changing the landscape of America in cities outside of traditional high-growth entrepreneurial hotbeds like Silicon Valley. And we’re not just talking about advancing entrepreneurship, we’re actually doing it. Each city will host a pitch competition, where local startups will have a chance to share their stories with a panel of judges, and I will personally invest $100,000 in each winning startup. We invite startups in each area to join us on the tour and apply in advance for the opportunity to pitch. In addition, we’ll be visiting with local startups, hosting candid conversations and celebrating the best and brightest in each community with networking events. We selected cities with promising startup communities and thriving accelerators and incubators designed to provide companies with the tools and resources they need to scale and build world-class companies. Places like M@dison Block, the burgeoning tech neighborhood known for its open work environments in downtown Detroit; Pittsburgh’s Thrill Mill, a non-profit organization that provides office space, funding and mentorship to early-stage startups; the Brandery in Cincinnati, a seed-stage startup accelerator ranked as one of the top programs in the United States; and Nashville Entrepreneur Center, a non-profit that connects investors and mentors with local startups to launch their businesses. The story of America is the story of entrepreneurs making big bets and taking bold risks, often in the face of adversity, to start companies and shape entire industries. The “Rise of the Rest” tour is just part of our ongoing mission to support and share their stories, wherever they reside. 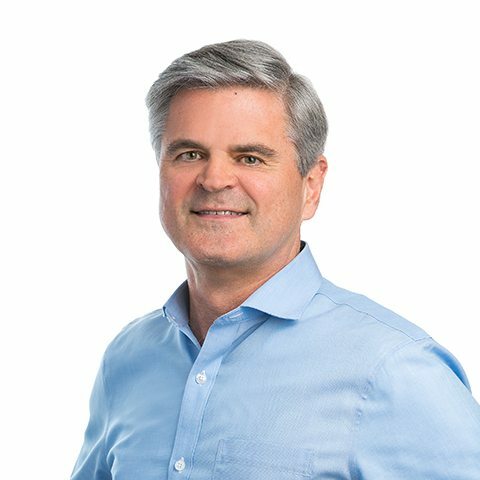 Learn more about the bus tour, how to apply for the pitch competitions, and special events in each city at www.riseofrest.com and follow #RiseOfRest on Twitter and Instagram.